This book contains over 100 Nigerian recipes that I have personally cooked: Rice, Snacks, Small Chops, Soups, Stews, Beans, Plantain, Yam, Drinks, Salads and Kids recipes. This book is for everyone that requested a physical cookbook that contains all the recipes on this website at the time of publishing the cookbook plus much more information about how I cook Nigerian food. The book is available in print (paperback) and ebook (Kindle) versions. It has 288 pages, 475 pages in Kindle version. Contains more than 580 images and illustrations. The book is in English language only. So wherever you buy it, the language is English. The print version is printed and bound in Spain. The cover is paperback with a flap so it is harder than most paperbacks. The ebook format is now available on Kindle, iOS devices (iPad, iPhone), Android tablets and phones, PC and laptop. If this is your first time buying a Kindle ebook, you will need to download the free Kindle app for Android and iOS devices. NOTE: You do NOT need to have a Kindle to purchase the ebook (Kindle) version. All you need is a smart phone, tablet or laptop. Install the free Kindle App from PlayStore or App Store. Then click the link for your country below to purchase the ebook version. The Kindle version is available on the following Amazon sites. If your country is not listed, buy and download it from Amazon USA. It is available on the following Amazon websites. If your country is not listed, contact the nearest Amazon site to you and ask if they deliver to where you live. Amazon Canada (CDN$39.99) Few copies left and will be discontinued when they are sold out. Sometimes you will see the All Nigerian Recipes Cookbook being sold at exorbitant amounts on Amazon, that is definitely NOT being sold by All Nigerian Recipes. When you see such, we are out of stock, just keep checking for when we restock. All Nigerian Recipes has discontinued the sale of the print version on Amazon UK, Germany, France, Spain and Italy due to high charges incurred on these platforms. You can still buy the Kindle version (soft copy) on these Amazon websites. Click here. 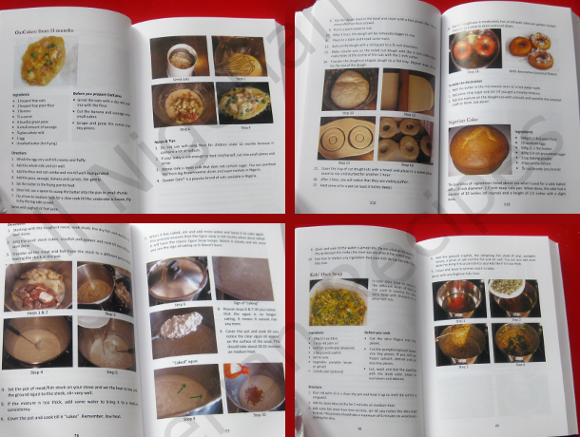 Please note that the All Nigerian Recipes Cookbook is no longer available on Konga. Check the places listed below. 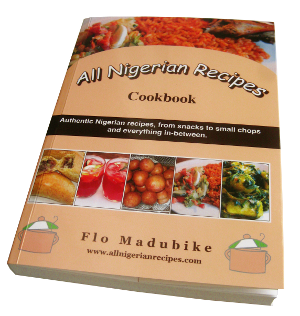 You can purchase the cookbook at these places in Nigeria. For now, there are no plans to add more. Phase 3, 2/1 Junction, Kubwa. Note: This shop does not do home delivery. Call or Whatsapp Christine on 08034540972 for details of how to purchase and collect the cookbook in Central Business District, Abuja. If you need home delivery, that can be arranged at an extra cost. Price: N6,500 plus delivery charges where applicable. If you live in Kaduna, Kano, Kwara, Bauchi, Niger, Katsina, Borno and other Northern states of Nigeria, call or Whatsapp Christine on 08034540972 for details of how to purchase and the cookbook will be waybilled to your city. You will need to pay for the cost of the waybill from Abuja to your city by transport dispatch. Price: N6,500 plus cost of waybill. Vendor coming soon, watch this space. Call or Whatsapp Joy on 08067844750 for details of how to purchase and collect the cookbook in PH. Payment must be transferred before pick up is scheduled. Want home/office delivery to a Port Harcourt address? Tell Joy your address and she will give you a delivery cost. Payment must be transferred before the delivery man sets off. Price: N6,500 plus home/office delivery cost. If you live in Abia, Akwa Ibom, Anambra, Bayelsa, Cross River, Delta, Edo, Enugu, Imo and Rivers states of Nigeria, call or Whatsapp Joy on 08067844750 for details of how to purchase and the cookbook will be waybilled to your city. You will need to pay for the cost of the waybill from Port Harcourt to your city by transport dispatch.